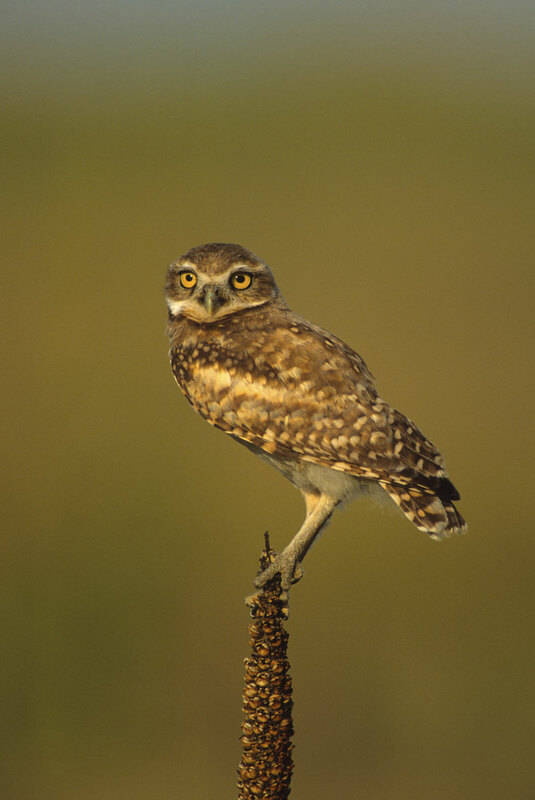 On the dry short-grass prairie, the Burrowing Owl is found on flat-to-gently-undulating, treeless plains. 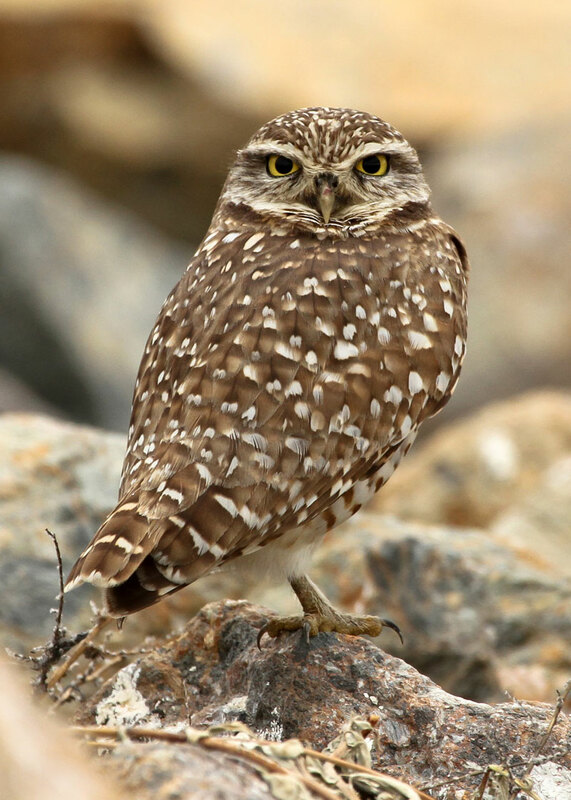 Before its range in British Columbia was restricted to the Kamloops region, the Burrowing Owl occupied dry grasslands and valley bottoms in the Okanagan valley north to Kamloops in the southern part of the province. Wherever it lives in Canada, the Burrowing Owl needs burrows, short or sparse vegetation, and open terrain. The abandoned burrows of ground-dwelling mammals such as badgers, ground squirrels, and prairie dogs are ideal for nesting, resting, and storing food; short vegetation and tall weedy areas, where insects and rodents are most common, ensure an adequate food supply when they are located within 2 km of the burrows; and open terrain beyond these areas allows the owl to see approaching predators. 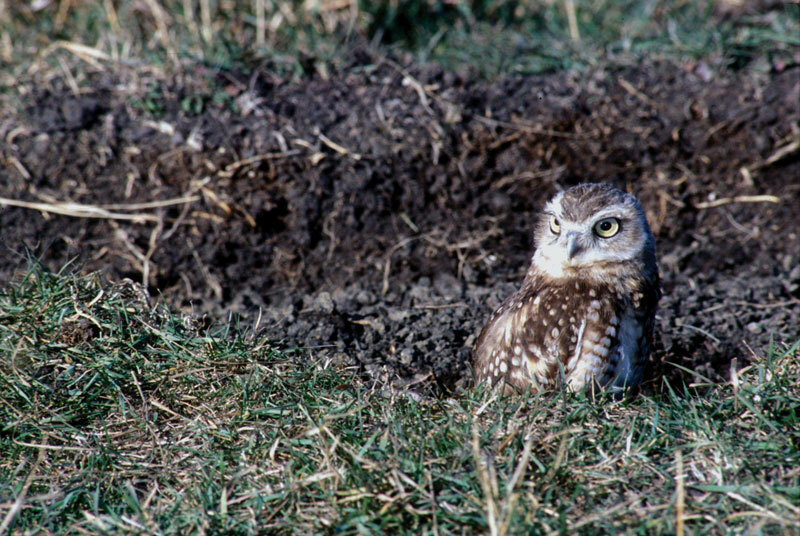 Most Burrowing Owls in Canada live in pastures grazed by livestock and dotted with burrows left where badgers have dug out squirrels for food. Thus, both badgers and ground squirrels are critical components of the Burrowing Owl’s habitat in Canada. 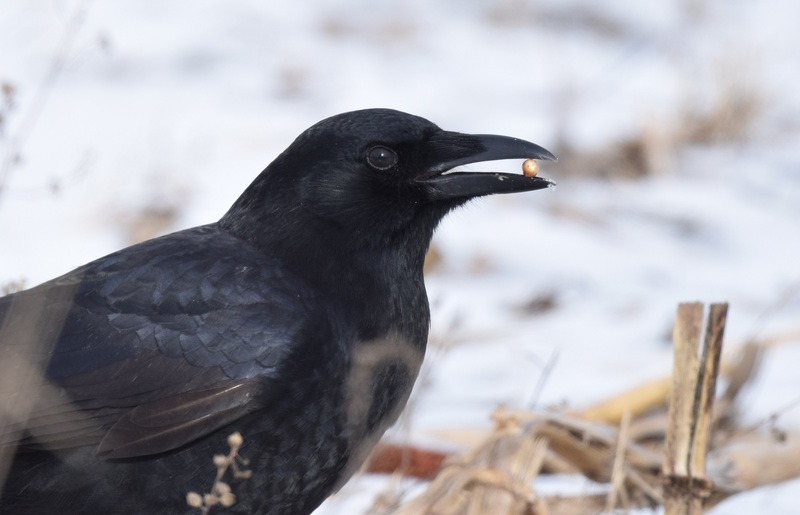 Habitat can also occasionally be found on croplands, on roadsides, and—in urban areas—at airports and golf courses, if there are suitable burrows for nest sites. On summer days, Burrowing Owls may be seen standing on dirt mounds near their nesting burrows or perched on nearby fence posts, ready to chase prey. 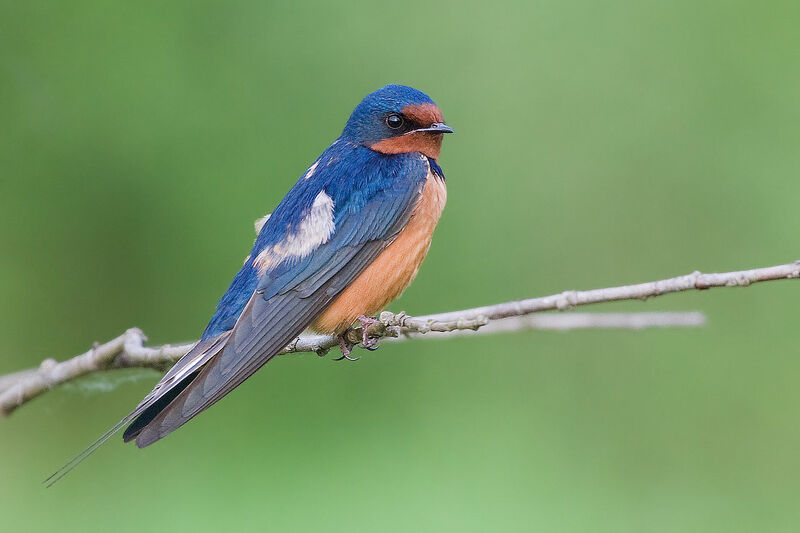 When they take flight, they fly directly toward their destination, ending with long glides interspersed with quick wingbeats. While many owls are large, solitary birds that live in trees and hunt at night, the western Burrowing Owl is a small bird that lives on the open prairie and in grasslands in Canada, where it nests underground and searches for prey day and night. Until the 1970s, the Burrowing Owl had healthy populations in Canada’s three prairie provinces but was already gone from the grasslands of British Columbia. 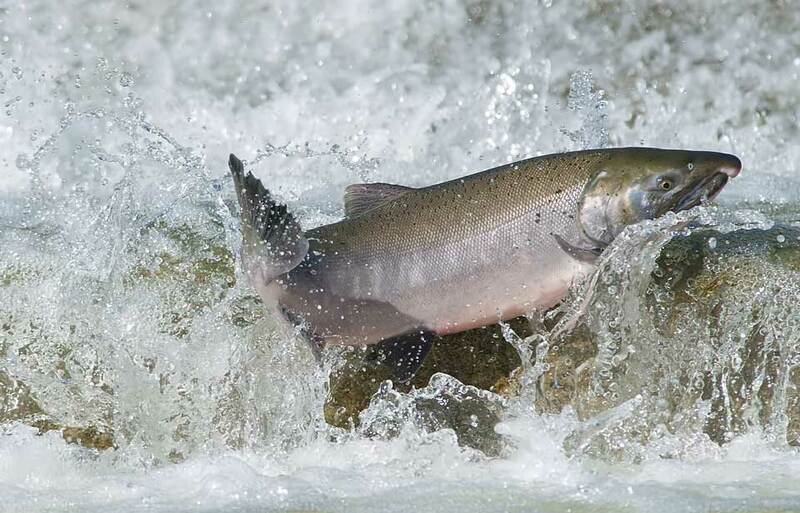 Today, it breeds in Alberta and Saskatchewan, with some rare appearances in southwestern Manitoba. In addition, captive-bred Burrowing Owls breed in and some return to the grasslands near Kamloops, British Columbia, where they are introduced each spring. Occasionally, Burrowing Owls winter in coastal British Columbia and are seen in Ontario and Quebec during spring. In the United States, this owl nested from western Minnesota and Iowa south to northern Texas and west to California. Today, its range is considerably smaller, particularly in the east. It is now absent from Minnesota, Iowa, the eastern parts of the Dakotas, and south to central Oklahoma and central Texas. 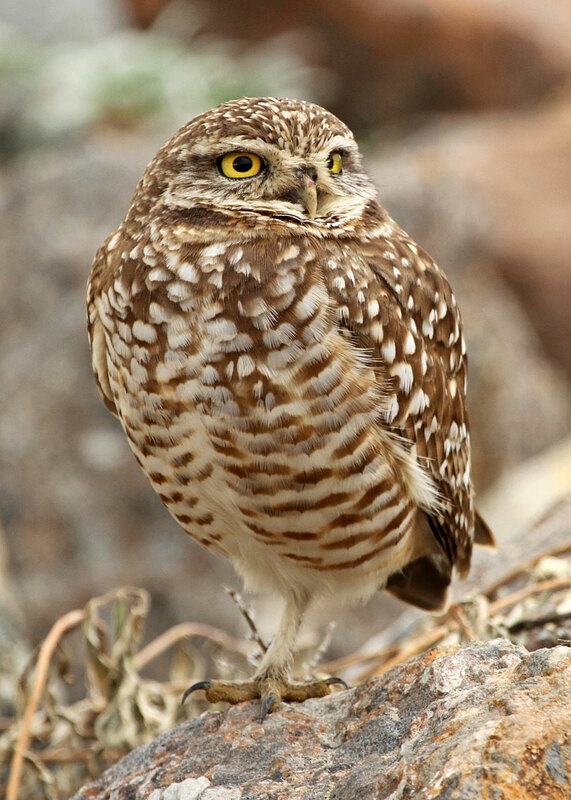 In Mexico, the Burrowing Owl breeds from Aguascalientes north through Coahuila, Chihuahua, and Sonora, and in Baja California. 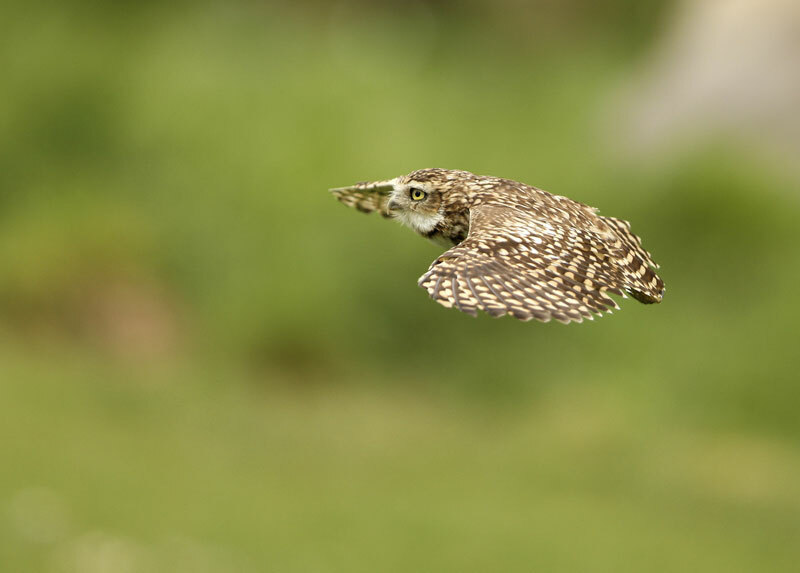 Burrowing Owls that breed in Canada remain on the breeding grounds from April to September. At that time, the prairie owls migrate 2 500 to 3 500 km to south Texas and central Mexico, arriving in November. Most British Columbia owls migrate to the west coast from Washington to California; a few spend winter at the inland release sites near Kamloops. In the south, Burrowing Owls live in agricultural fields, as well as in more open, grassland country, orchards, and even thorn shrub woodlands. They often hide in burrows, culverts, or open pipes in the daytime, but sometimes they just sit under grass clumps. The owls that journey to summer breeding grounds in Canada begin their migration in late February and early March. Many Burrowing Owls that breed in Canada do not return. 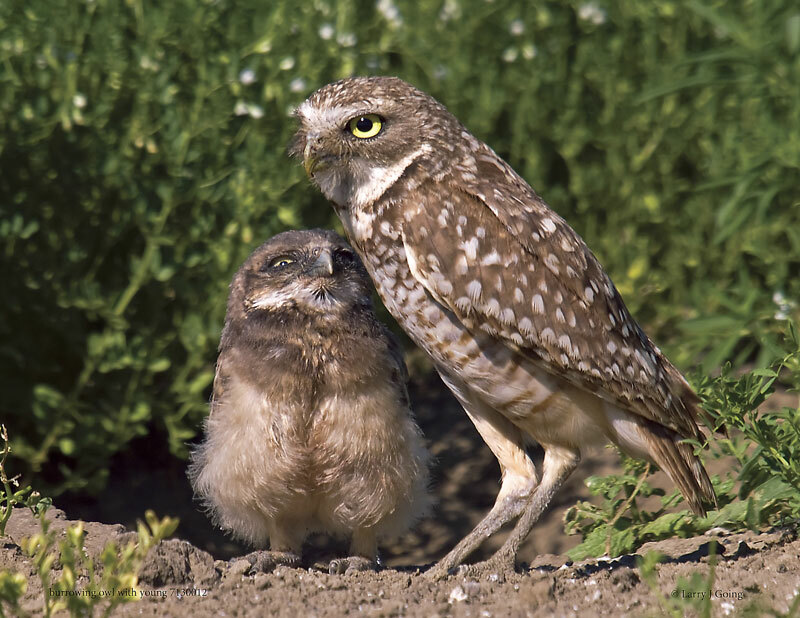 Only half of the adult Burrowing Owls come back to their northern breeding grounds, and a mere 6 percent of young owls return to breed in Canada the year after they are born. Scientists have determined that 40 percent of the young owls die in Canada before they migrate, but they do not know what happens to the rest of the owl population. They are trying to learn whether the owls that do not return are breeding elsewhere or die in winter. 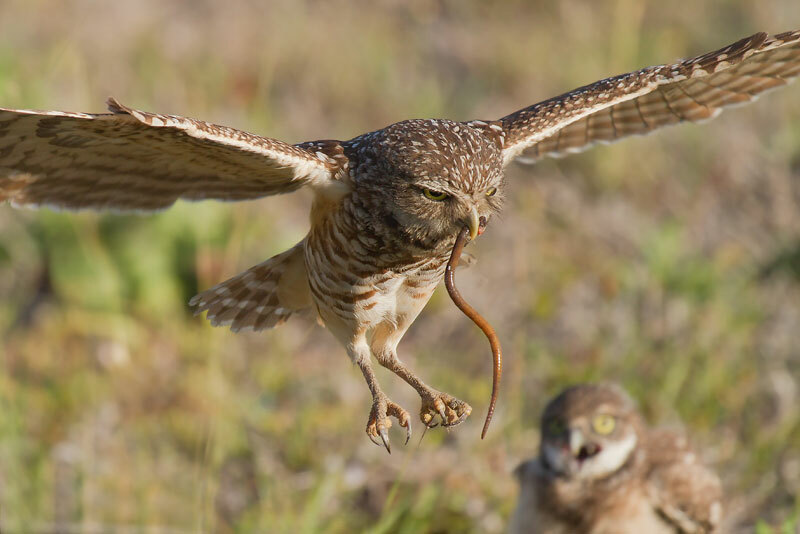 The Burrowing Owl consumes a variety of small creatures. Ground insects, such as grasshoppers and beetles, make up as much as 80 to 90 percent of its diet, but most of its food mass comes from small rodents, such as mice and voles. 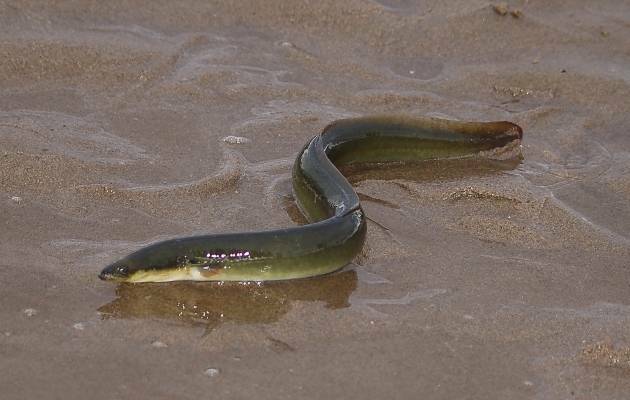 It also eats frogs, toads, salamanders, snakes, small birds, and dead animals. Young owls learning to hunt on their own rely mainly on insects for food. They also occasionally scavenge dead animals from roads, and will scurry after insects drawn to warm pavement at night. 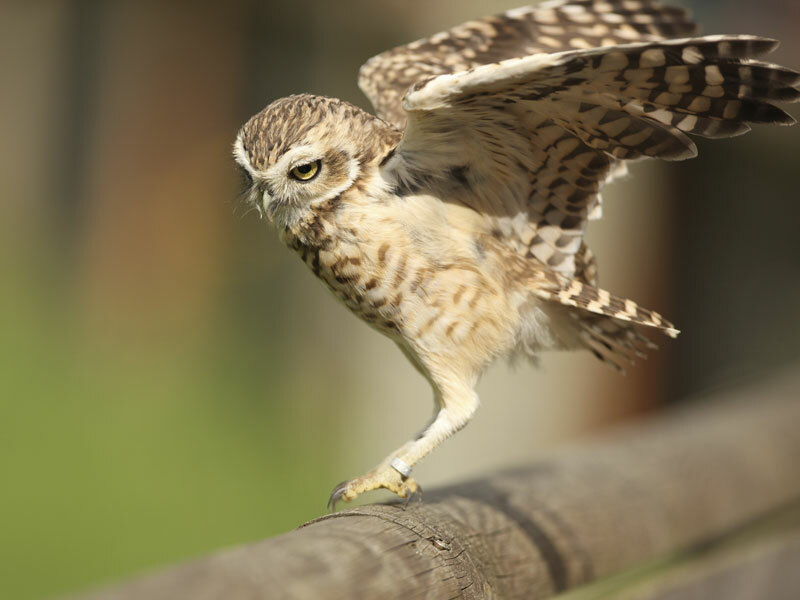 The Burrowing Owl has several hunting methods, including hunting from a perch such as a mound or fence post, running after insects, hovering close to the ground before pouncing on prey, and using its feet to catch insects in mid-air. During the summer, with young to feed, the Burrowing Owl hunts around the clock. 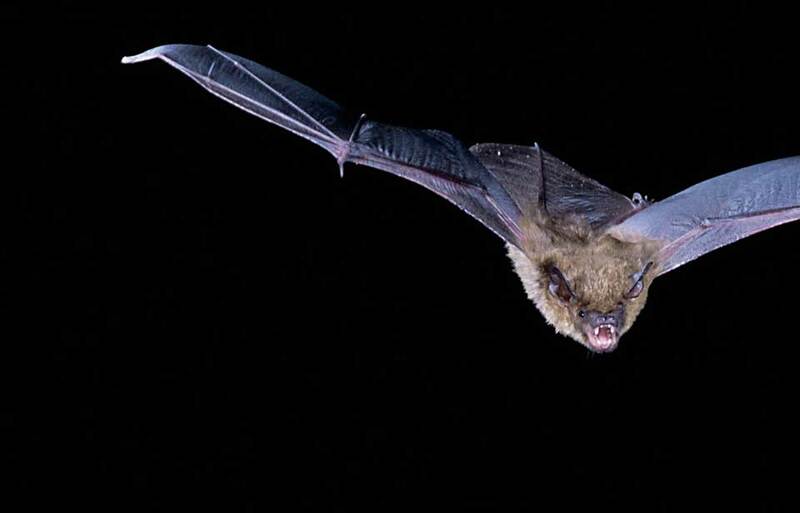 In the winter, during its stay in the southwestern United States and in Mexico, it is a “nocturnal” creature, becoming active mainly during the night after spending the day in its burrow. 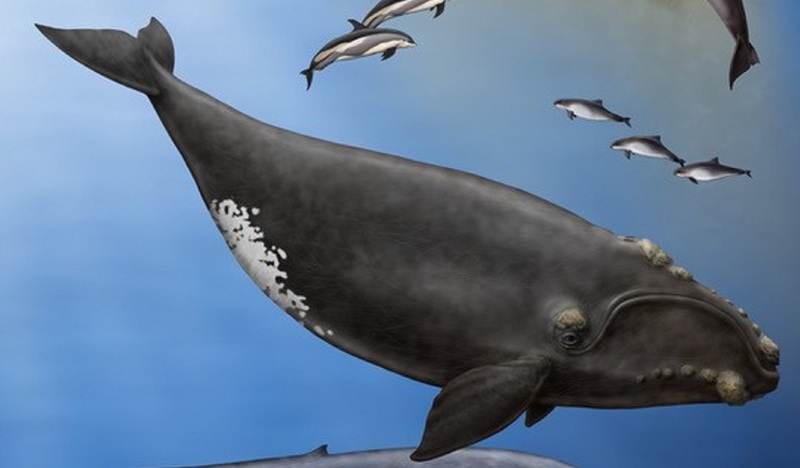 The male arrives at its summer breeding grounds in Canada first, in April, and selects a burrow that has been abandoned by badgers or other ground-dwelling mammals. The female arrives shortly afterwards. The owls spend the first two weeks performing elaborate territorial and courtship displays that include flashing white markings, cooing, bowing, scratching, nipping, stretching, and repeated short flights, and the male attracts the female using its coo-cooo call. 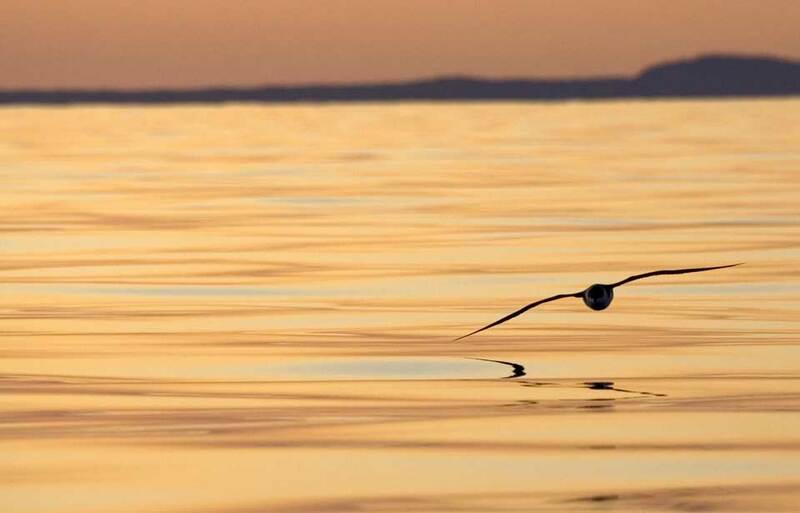 Generally, the birds do not pair for life, although some pairs may reunite for a second summer. 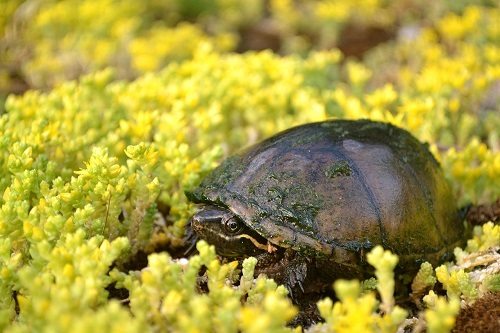 Burrows are important for protection from weather and predators, for raising young, and for controlling temperature. Although the Burrowing Owl does not dig its burrow, it may remove blockages in the tunnel or widen the passage. The male lines the tunnel and nest chamber with dried plants, feathers, and dry, shredded cow manure. This lining may help to keep the burrow cool during the day and warm at night, helping to incubate the eggs. It also humidifies the burrow and may protect the owls from predators by masking the birds’ scent. 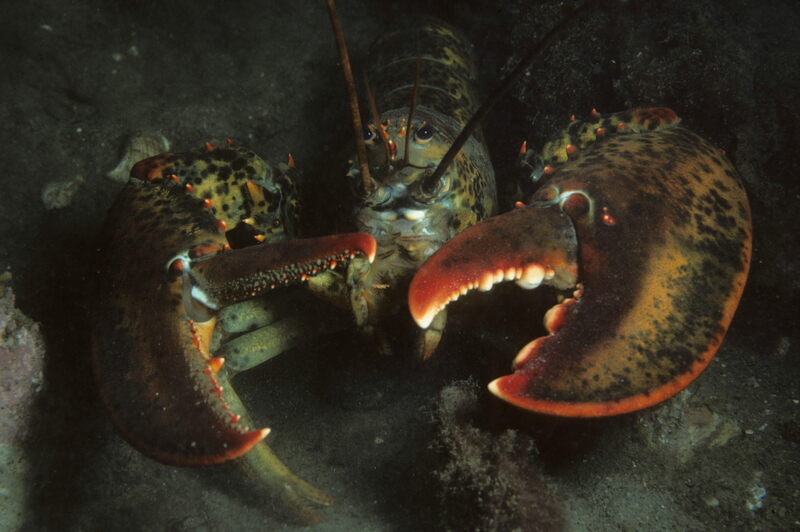 After arranging the nest, the male rarely enters the burrow, but he provides food for the female, who stays underground to incubate the eggs and brood the young. The male lives in a nearby burrow. When Burrowing Owls were more numerous, they nested in burrows that were part of a loose colony. 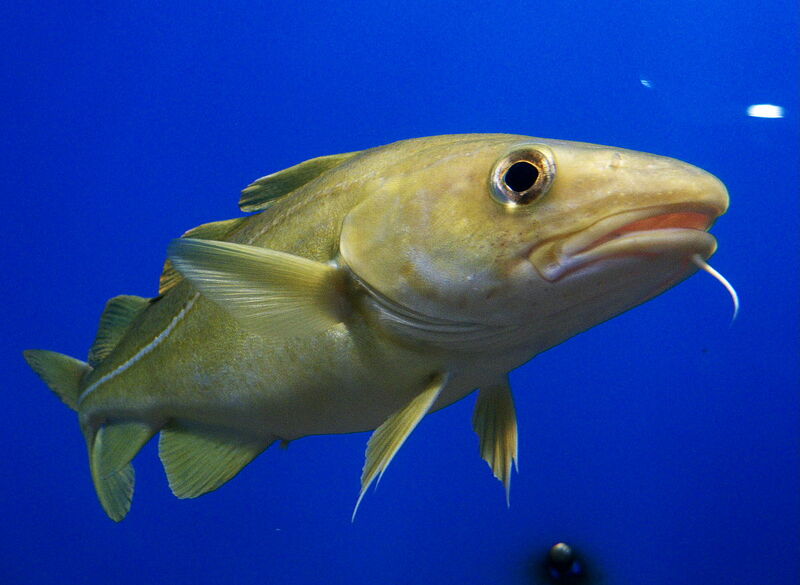 Now, burrows are often isolated. A Burrowing Owl can breed the summer after it hatches and every summer after that. In Canada, the female lays 4 to 12, and on average 9, white eggs that eventually stain a brownish colour from the nest material. The female incubates the eggs for about four weeks, with the eggs hatching in the order in which they were laid. The hatchlings are considered “altricial,” meaning that they are born blind and helpless, depending completely on their parents for warmth and food until they have developed enough to leave the nest. The Burrowing Owl lays more eggs than it can raise in most years. 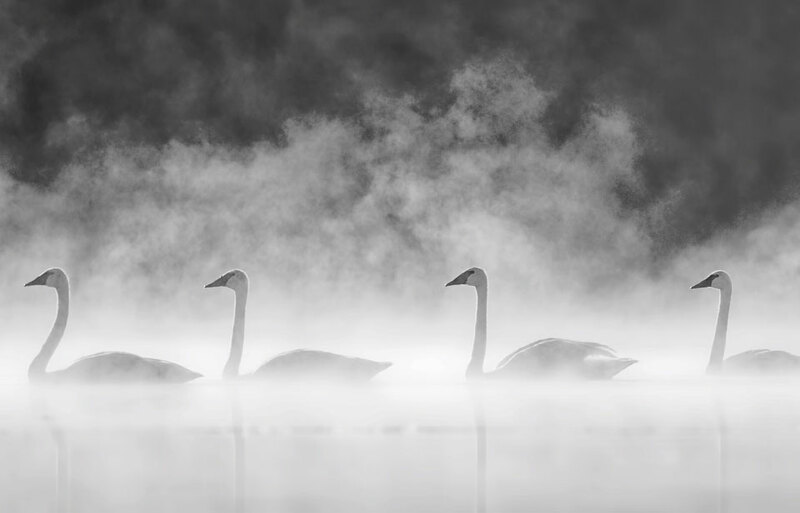 On average, of the nine eggs laid, one will not hatch, while three to six young will not fledge, or reach the stage where they are capable of flying. Most nestlings die from starvation; the males are unable to provide enough food to keep all the young alive during their first two to three weeks. Cannibalism of young is also common during natural food shortages. 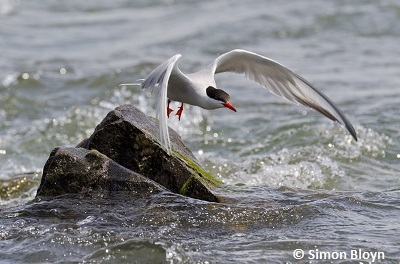 The female helps provide food when the young no longer require brooding. 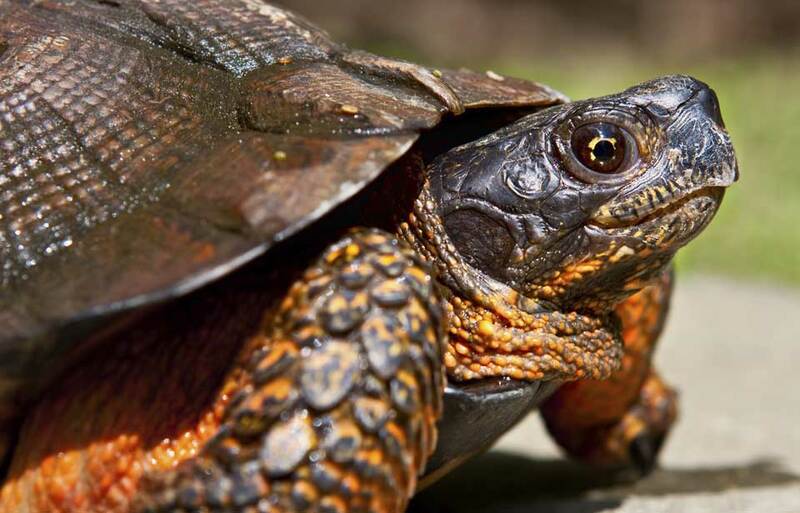 The hatchlings stay underground for two to three weeks. 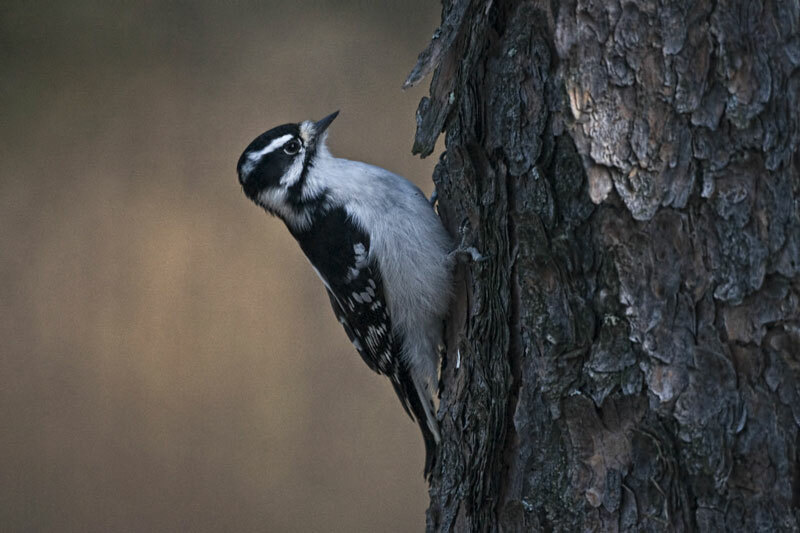 By early to mid-June, downy young appear at the burrow opening. At around four weeks, some of the young owls move to nearby burrows, where they wait at the entrances for the adults to feed them. This allows for even food distribution among the young, avoids crowding, and lessens the chance of a predator killing the entire group. Young owls are capable of short flights in early July, and, by about seven weeks of age, they can make sustained flights. They learn to hunt on their own at about seven or eight weeks. 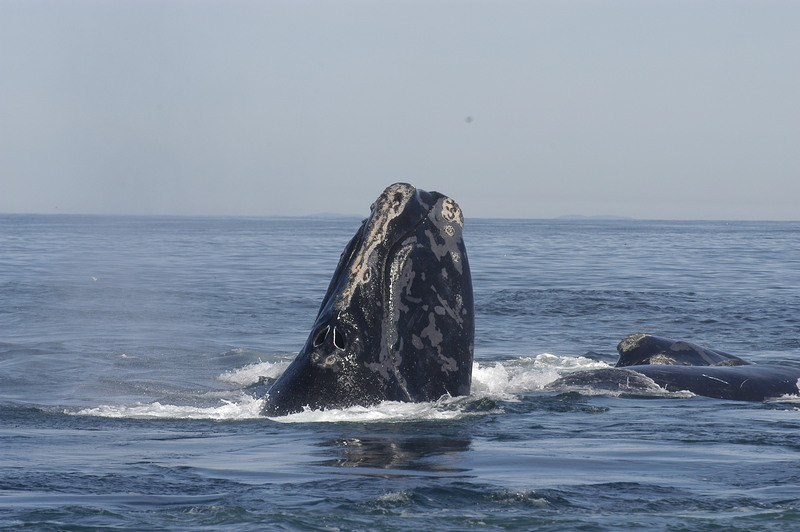 By the time they are nine or 10 weeks old, the young have become independent, in time for the beginning of the southward migration in mid-September. The Burrowing Owl’s normal lifespan is three to four years. 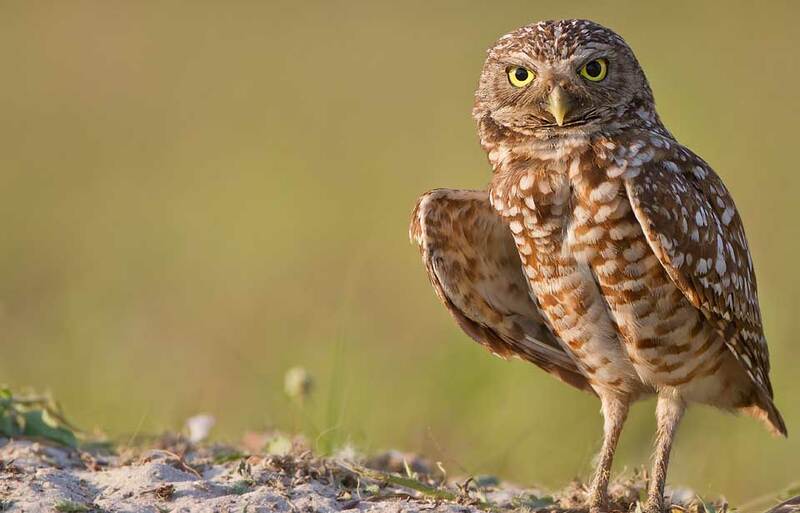 On rare occasions, a Burrowing Owl may live as long as eight years. At one time, the Burrowing Owl was common in the four western Canadian provinces. 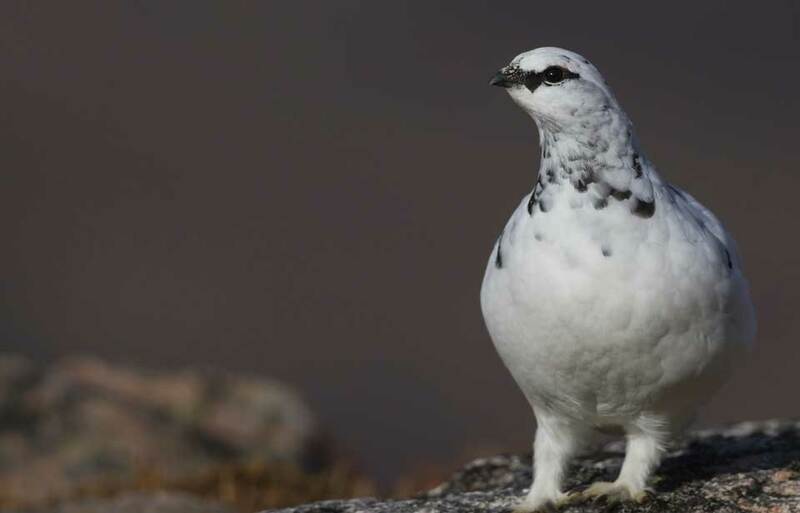 Now, it is one of the most endangered birds in these areas. The decline in population began in the 1980s and accelerated during the 1990s to an average rate of 22 percent a year. In 1977, more than 2 000 breeding pairs of Burrowing Owls lived in Canada; by 2000, the number of pairs had dropped to fewer than 1 000. Human activity has a great impact on the Burrowing Owl. 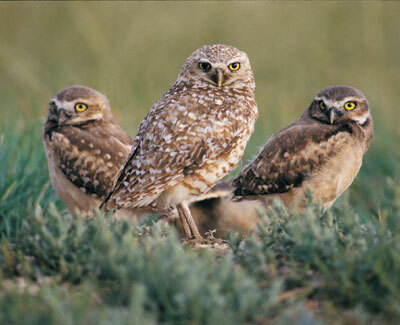 Chemical pesticides, applied to control ground squirrels and grasshoppers, sometimes poison the Burrowing Owl. For example, carbofuran, a pesticide that is now banned, was linked to a reduction in the number of young Burrowing Owls. Strychnine-covered grain has also killed owls that eat the grain that is left in burrows to kill ground squirrels. Pesticides also kill animals and insects that the Burrowing Owl eats. This may force the bird to hunt far from the safety of its nesting site, making it more susceptible to predators and other dangers. The extermination of burrowing mammals, particularly badgers and ground squirrels, often killed as “pests,” reduces the number of suitable homes for the Burrowing Owl. 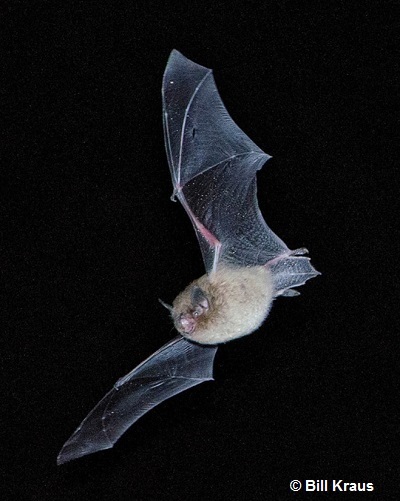 Fewer of these digging animals means fewer nests and nearby roost, or resting, burrows for the birds. Burrowing Owls sometimes die along roads. Young owls in particular hunt on and beside roads at night. Because they are slow flyers and have difficulty escaping oncoming traffic, they are often killed. Habitat loss and changes in the quality of habitat reduce hunting and nesting territories and are associated with low birth and high death rates among Burrowing Owls. 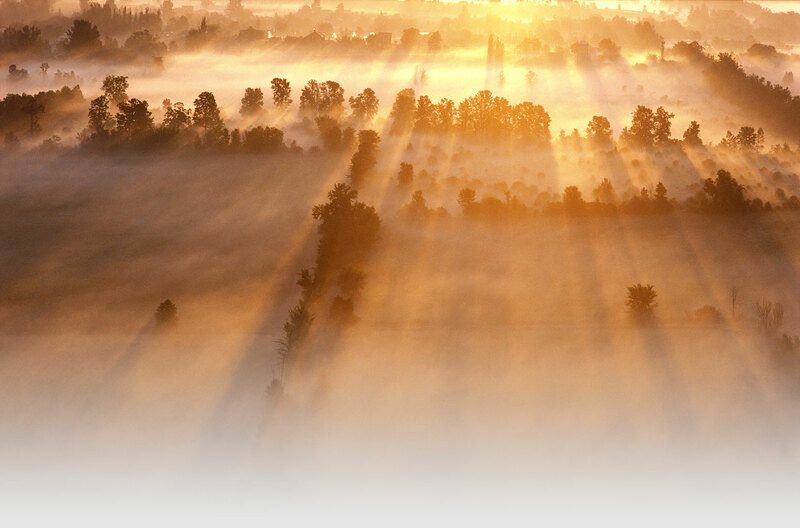 In Canada, less than 24 percent of the original prairie habitat remains. Native grasslands lost to housing, farming, roads, and energy exploration have eliminated some of the bird’s living space or changed it into something that the Burrowing Owl can no longer use. The Burrowing Owl has many natural predators. 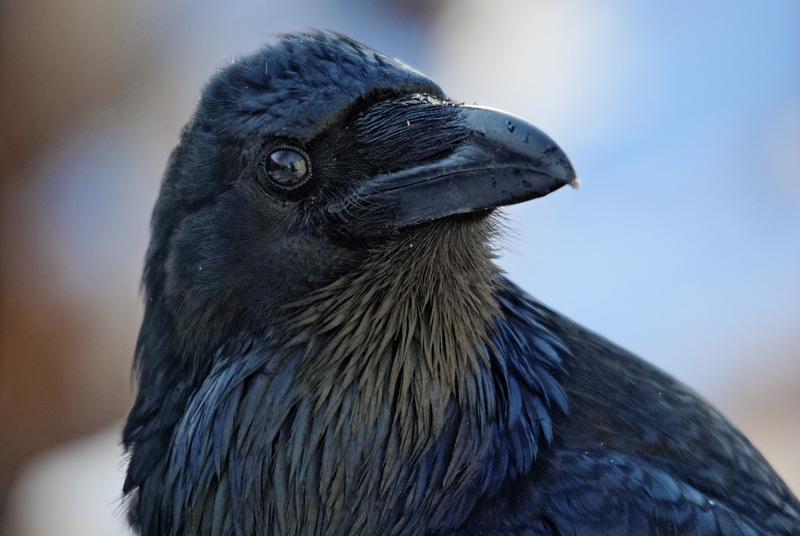 Badgers, foxes, skunks, weasels, raccoons, and snakes dig up or enter burrows, eating eggs, nestlings, or adult females; other owls, hawks, falcons, domestic cats and dogs, and coyotes prey upon adults and young outside the burrow. Features that humans have added to the Burrowing Owl’s territory, such as fences, utility poles, hedgerows and artificial nests for hawks, may give some of the Burrowing Owl’s predators more vantage points than they once had. In 1995, the Committee on the Status of Endangered Wildlife in Canada (COSEWIC) declared the Burrowing Owl “endangered,” meaning that it may soon no longer exist in the wild in Canada. 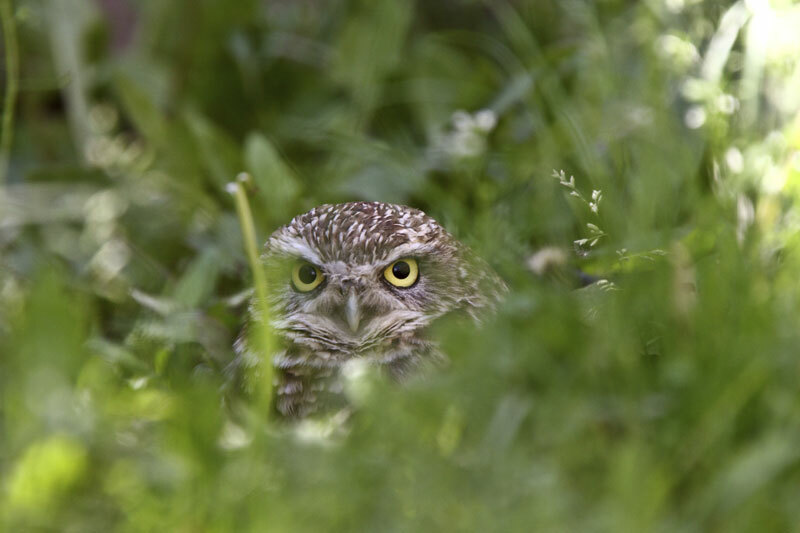 The Burrowing Owl has been designated “at risk” in all four western Canadian provinces and is protected under provincial wildlife acts from capture, harassment, trade, killing, or nest disturbance. 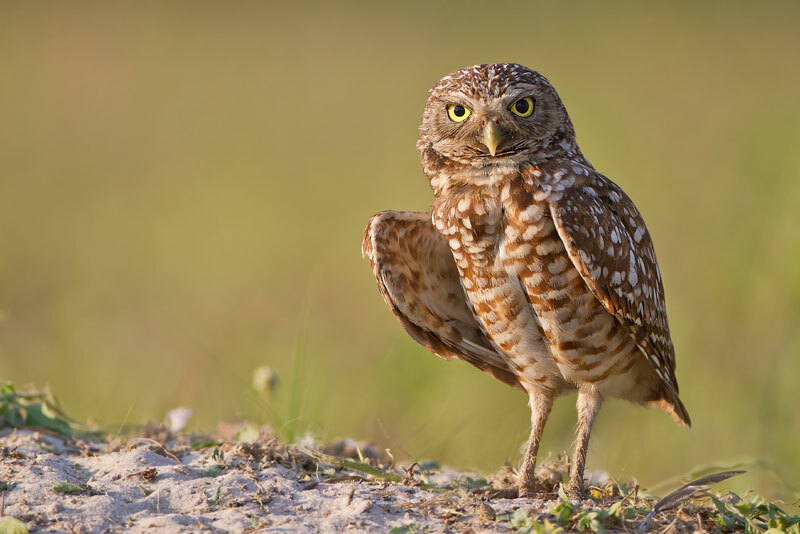 The Convention on International Trade in Endangered Species also protects the Burrowing Owl. 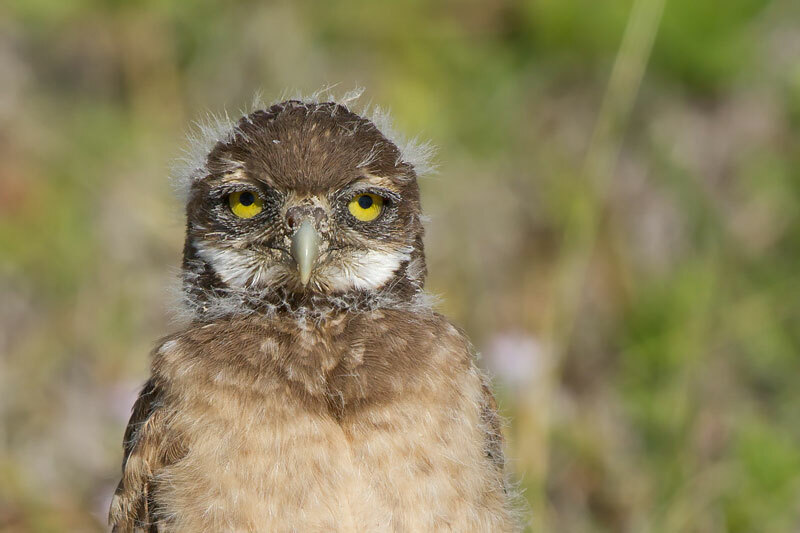 A national Burrowing Owl recovery team, working through a program that includes governmental and non-governmental groups, approved a recovery plan in 1995 and updated the plan in 2002. This plan aims to increase Burrowing Owl populations in Canada to levels where they can sustain themselves. In addition, the recovery team members are involved in the experimental release of captive-bred owls in Saskatchewan and the reintroduction of owls in British Columbia. 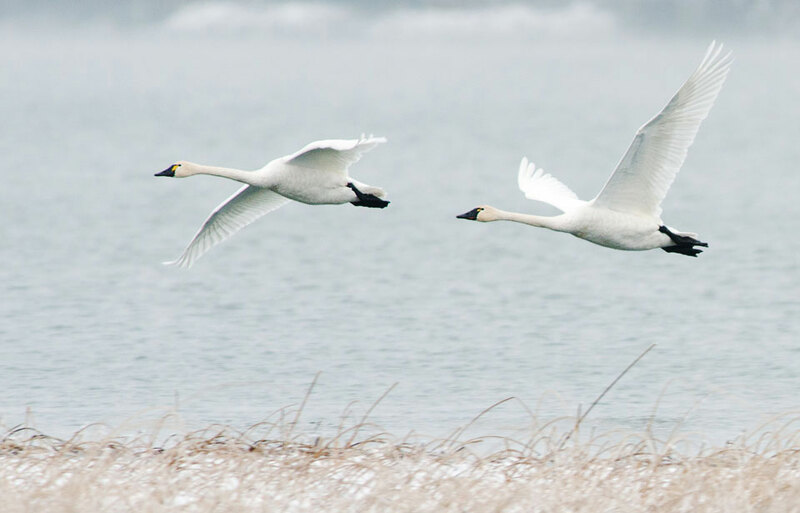 Few of the birds released in Saskatchewan have returned there. 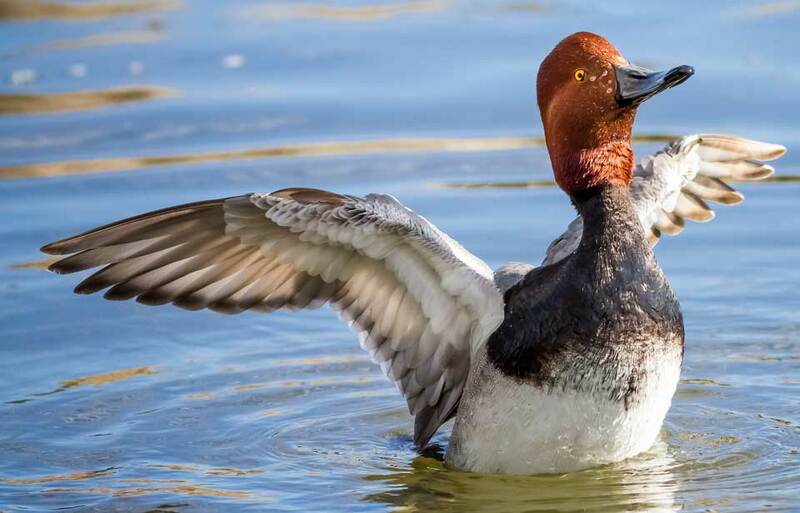 Some of the more than 250 birds introduced into the Kamloops region of British Columbia since the program began in 1989 have mated and produced young, and a few have returned to British Columbia the following spring. Despite its efforts, the recovery team has not been able to identify the key factors behind the population decline, although research has shown that some combination of factors is to blame. To help it reach some conclusions, the team is working to gather information about migration, winter range, changes on the breeding grounds, mortality, and the effects of various land uses on the owl. One of the reasons assembling this knowledge is taking time is because Burrowing Owls are difficult to track. 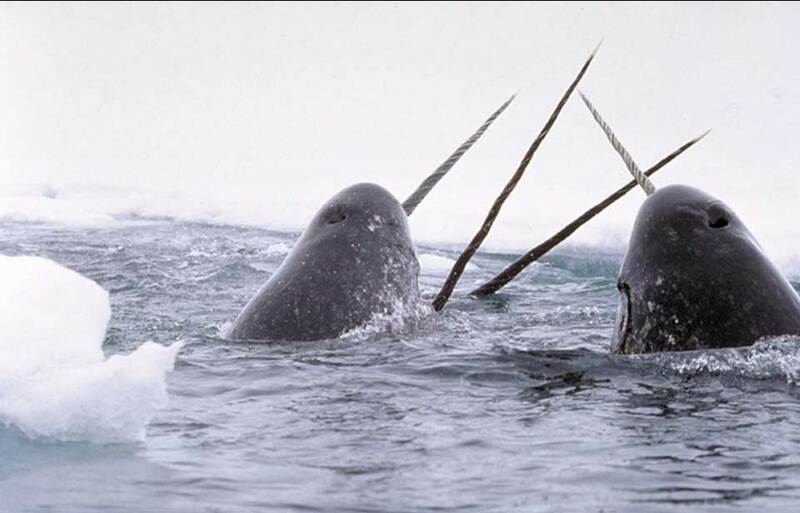 They are very cryptic, or hard to see because of coloration that camouflages them. 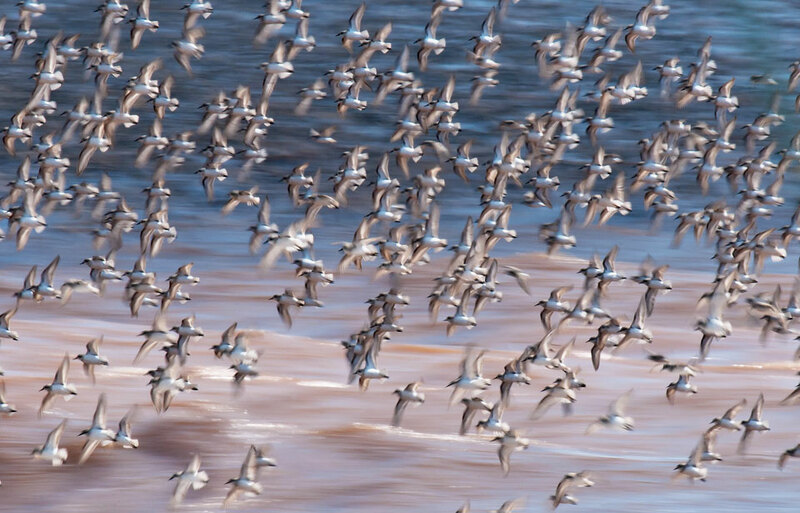 They migrate at night and fly alone, not in flocks. 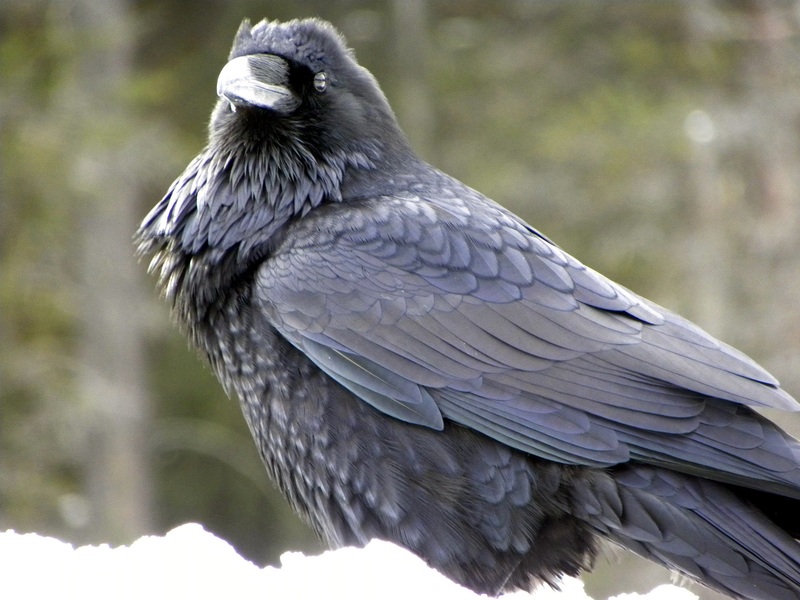 In addition, because of their small size, they cannot carry satellite transmitters like those used on larger birds, making it necessary for biologists to attach smaller radio transmitters with shorter ranges. 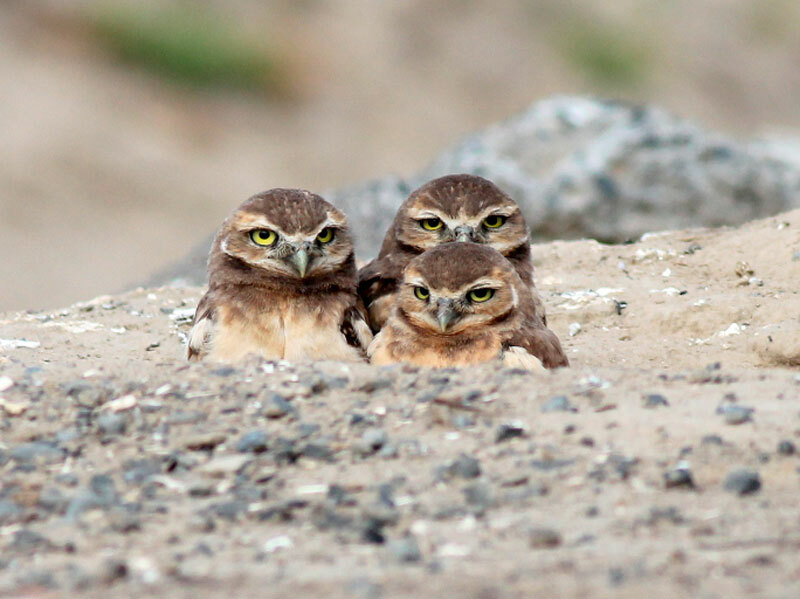 A number of governmental and nongovernmental programs in Canada’s four western provinces are conserving habitat for the bird, studying its habits, banning the use of some pesticides, and raising awareness about the needs of the Burrowing Owl. Through two nongovernmental programs alone—Operation Burrowing Owl in Saskatchewan, which began in 1987, and Operation Grassland Community in Alberta, which started in 1989—more than 700 landowners have conserved roughly 70 000 hectares of Burrowing Owl nesting habitat. By increasing our knowledge about the Burrowing Owl’s habits and changing some of the practices that harm the owls in their nesting areas, we hope we can help the Burrowing Owl regain its healthy numbers in Canada. Alcorn, G.D. 1986. Owls: An introduction for the amateur naturalist. Prentice Hall, New York. Eckert, A.W. 1987. The owls of North America. First edition. Weathervane Books, New York. Godfrey, W.E. 1986. 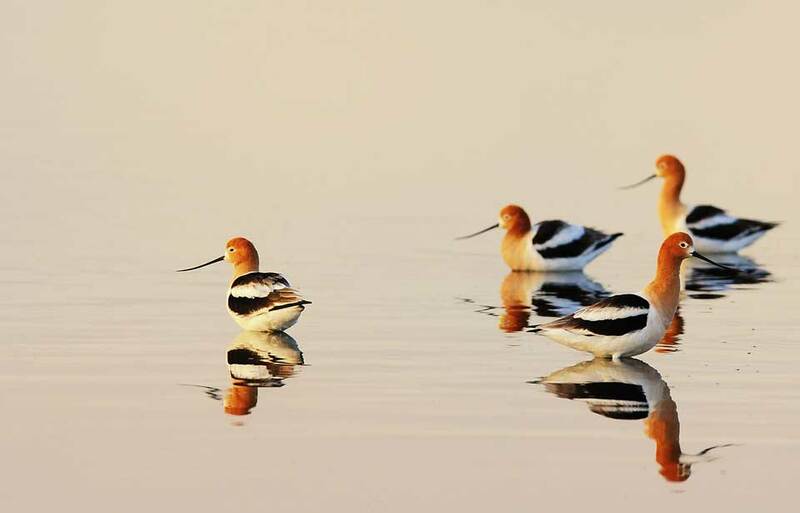 Birds of Canada. Revised edition. National Museum of Natural Sciences, Ottawa. Haug, E.A., B.A. Millsap, and M.S. Marnell. 1993. Burrowing Owl (Speotyto cunicularia). [This is the earlier scientific name for the bird we now call Athene cunicularia.] In The Birds of North America, no. 61. A. Poole and F. Gill, editors. The Academy of Natural Sciences, Philadelphia; The American Ornithologists’ Union, Washington, D.C.
Holroyd, G.L., I. Shukster, D. Keith, and L. Hunt. 1995. 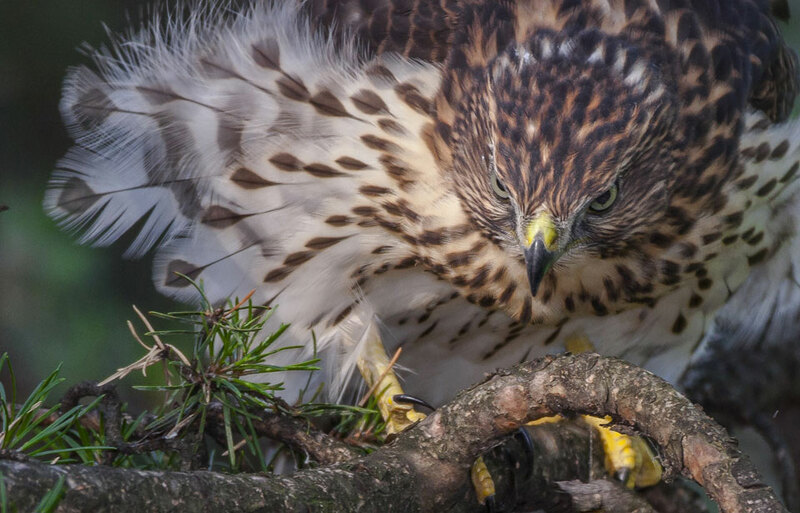 A landowners guide: prairie raptors. Minister of Environment, Canadian Wildlife Service, Edmonton, Alberta. Johnsgard, P. 1988. North American owls: Biology and natural history. Smithsonian Institution Press, Washington, D.C.
Voous, K.H., and A. Cameron. 1989. Owls of the Northern Hemisphere. MIT Press, Cambridge, Massachusetts. Walker, L.W. 1993. The book of owls. University of Texas Press, Austin, Texas.